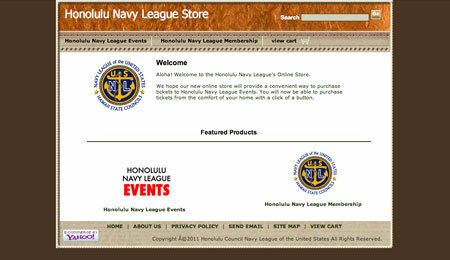 The online shop for the Honolulu chapter of the Navy League. Duties included setting the e-commerce back end as a Yahoo Merchant account, populating the store with product, and testing the store. Maintence and updates to the store are still performed on an ongoing basis.